One intriguing explanation is provided by the hygiene hypothesis, which proposes that for children's immune systems to develop properly, they need to be exposed to a broad range of microbes in early life. Without this exposure, children may be more susceptible to immunological diseases, like allergies and asthma. The hygiene hypothesis explains why children living on farms, where they are exposed to a wide range of animals, are less likely to develop asthma. However, it's not only farm children who benefit from exposure to animals. Having a pet in the house can also help protect against asthma. Similarly, children with more siblings are less likely to be asthmatic. 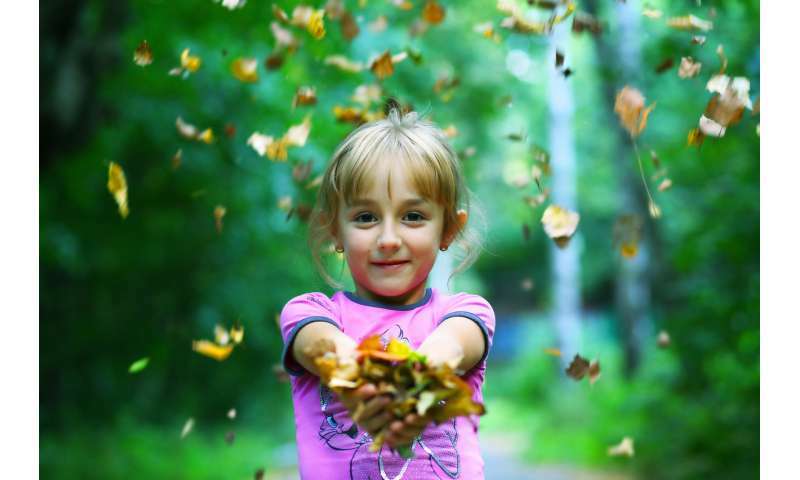 Living around a more diverse range of plants may also increase a child's exposure to microbes. In fact, past studies have shown that people who live in more biodiverse areas have more diverse skin bacteria. Exposure to the natural environment may, therefore, improve our health by increasing the diversity of microbes living on our skin and in our gut. Using these data, we were able to track where children lived from birth until age 18, calculate the greenness of their neighbourhoods using satellite imagery and land-use data, and link to health records throughout each child's life. This was all done anonymously, in a secure data lab, to safeguard the children's privacy.